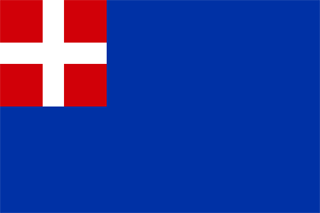 Sardinia (Sardegna) is a region of Italy, and this traditional Sardinian flag dates to the late 14th century. 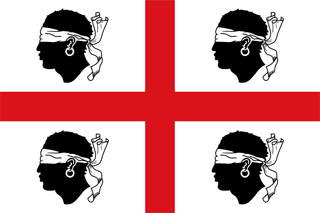 The white field is dominated by a red cross, and four moors heads. 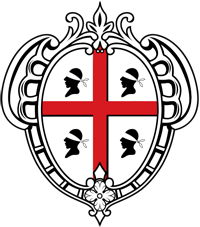 Sardinia's coat of arms features the national flag against an embellished shield.